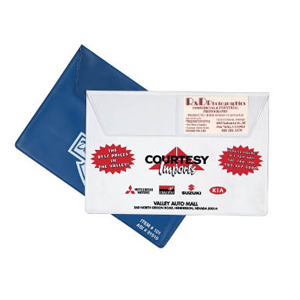 Functional cases, useful as document holders for new car owners manuals, mortgage papers, or insurance policies. Closed case size 9 7/8″ x 5 1/16″. Available in standard shoe kid, french calf or suedene vinyl.